Man 31 yo onset fever one month ago but not control by antibiotic. 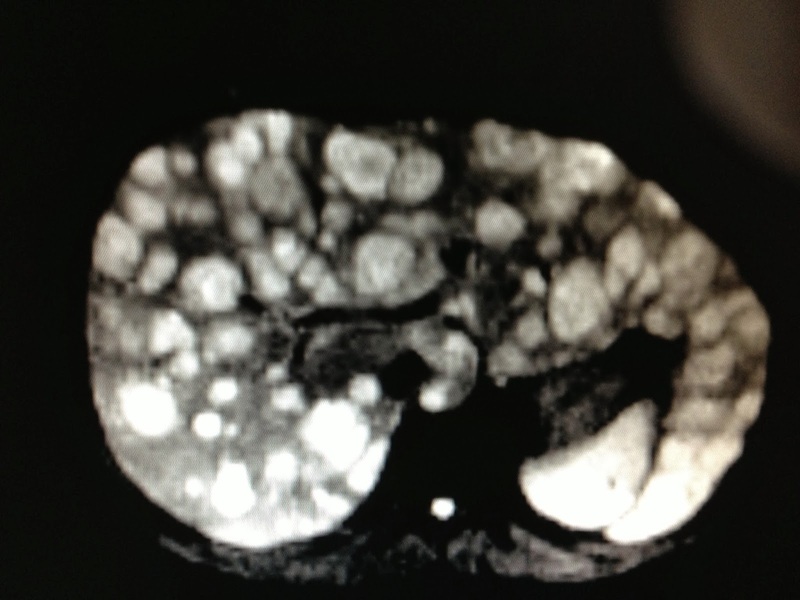 Pain in liver region. 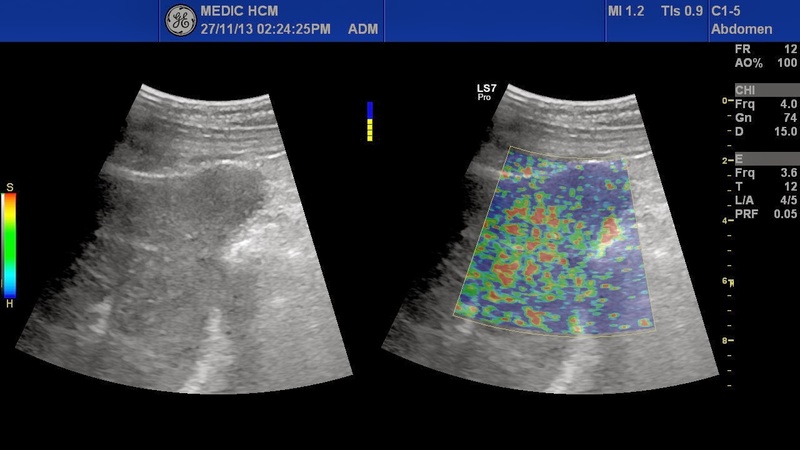 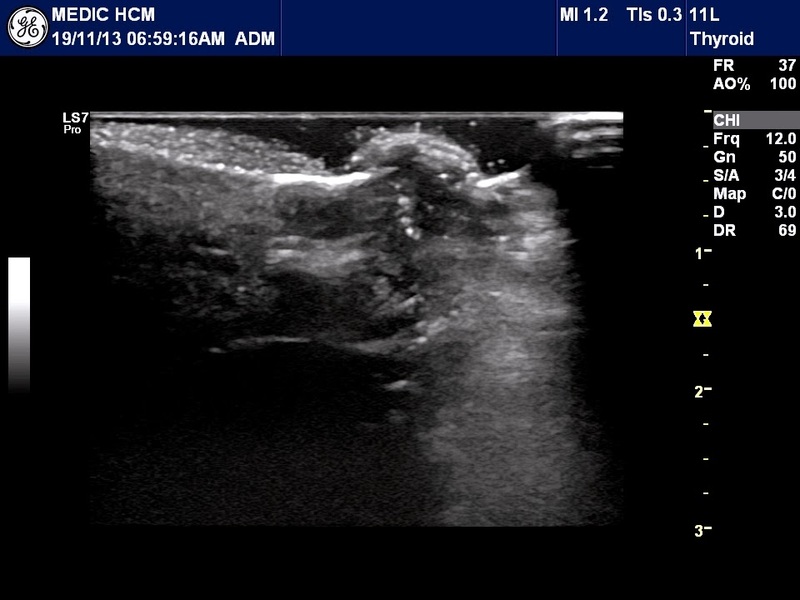 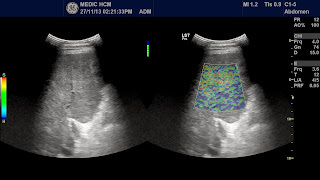 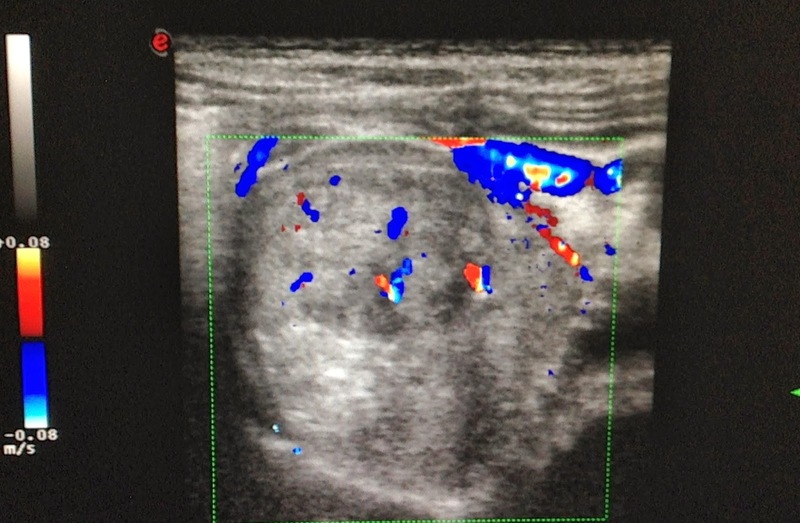 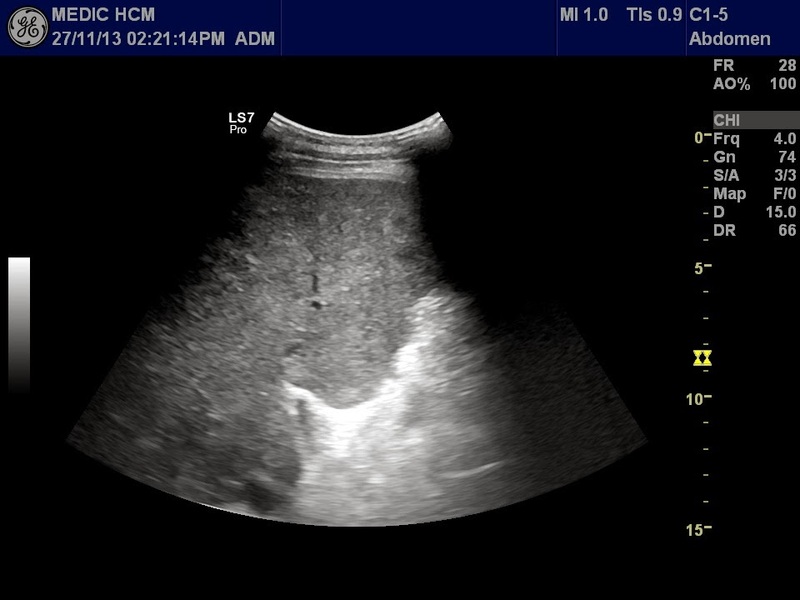 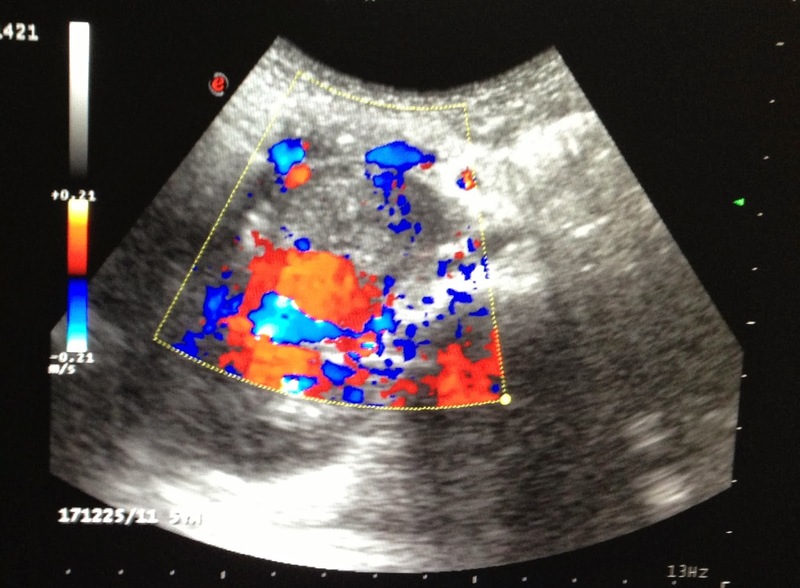 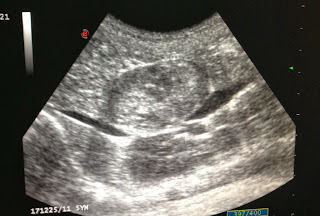 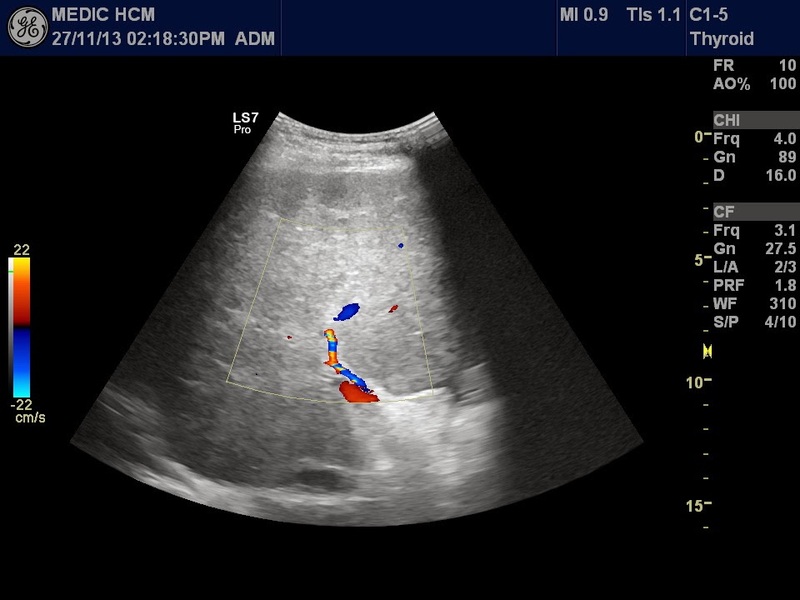 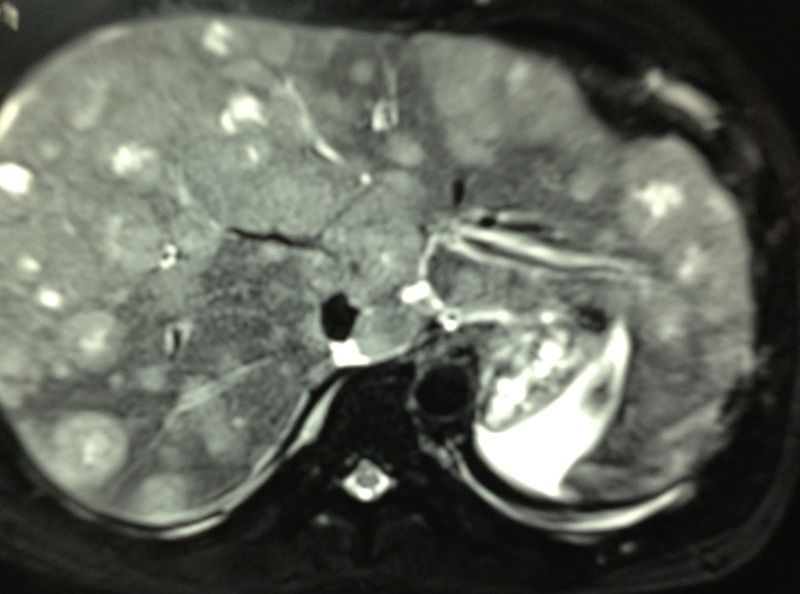 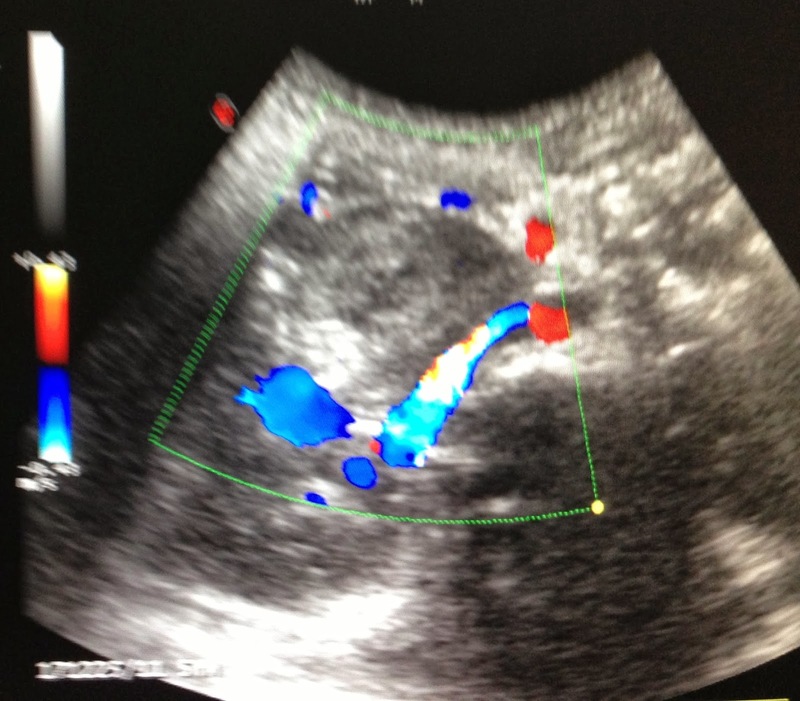 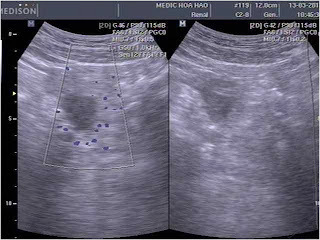 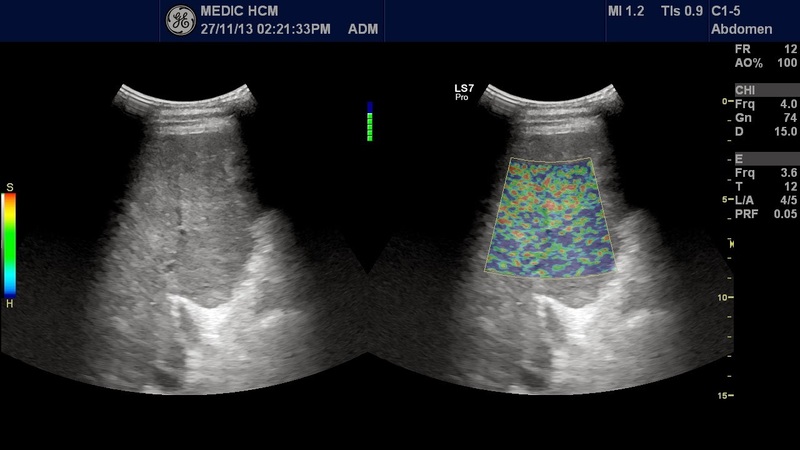 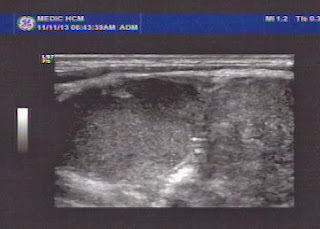 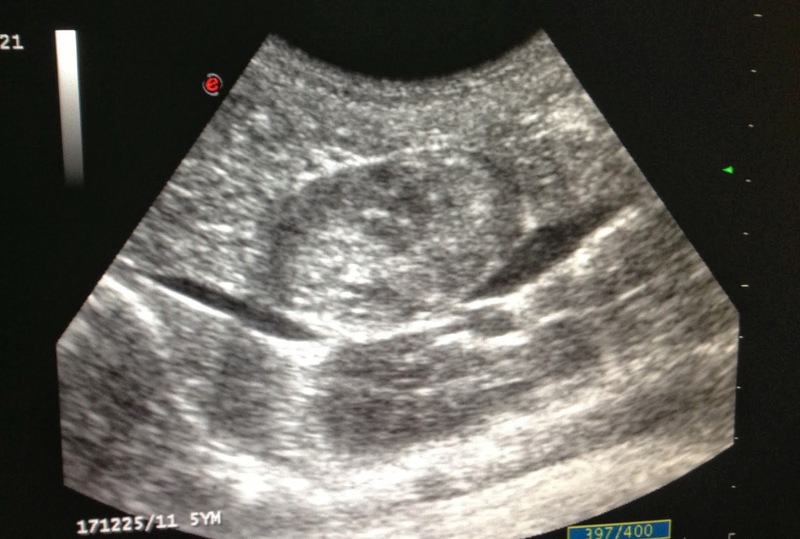 Ultrasound detected some round spots like liver abscesses. (US B mode, CDI, Elasto). MRI with gado CE detected also many round spots, same size of 2 cm, with central necrosis looked like metastasis. 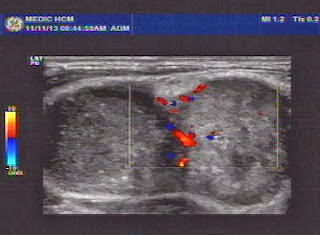 Blood tests= WBC rising of20k with 85% neutro, negative sero amibe, normal CEA. 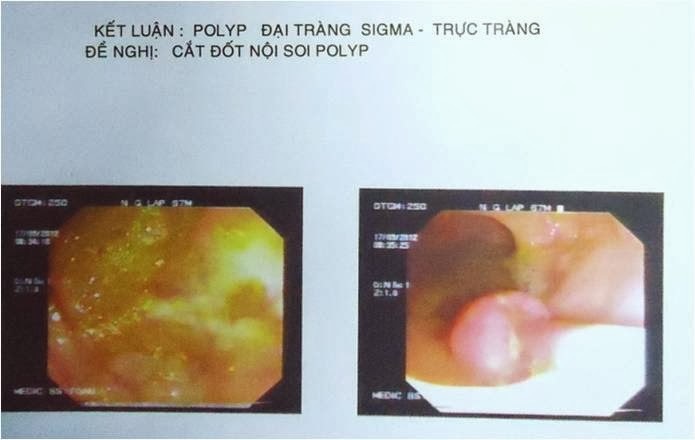 Colonoscopy for detection of primary cancer disclosed, at splenic angle of colon, infiltrated induration lesion which was suspected colon tumor . 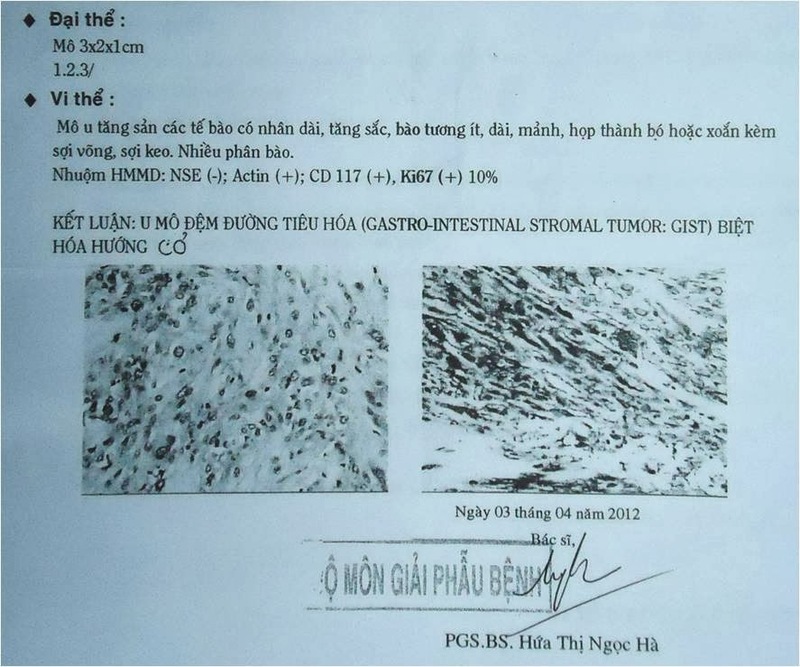 And biopsy with microscopic report was colon cancer. 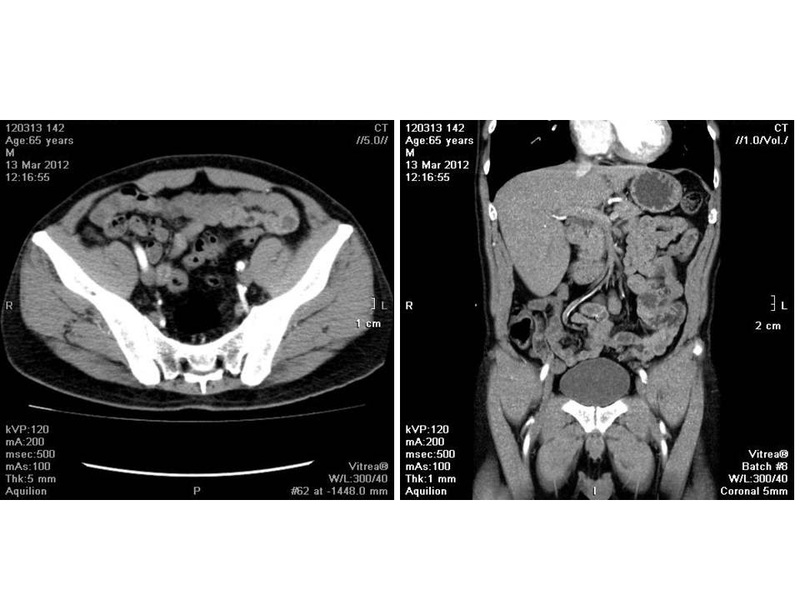 Summary; this case is colon cancer metastases to liver. 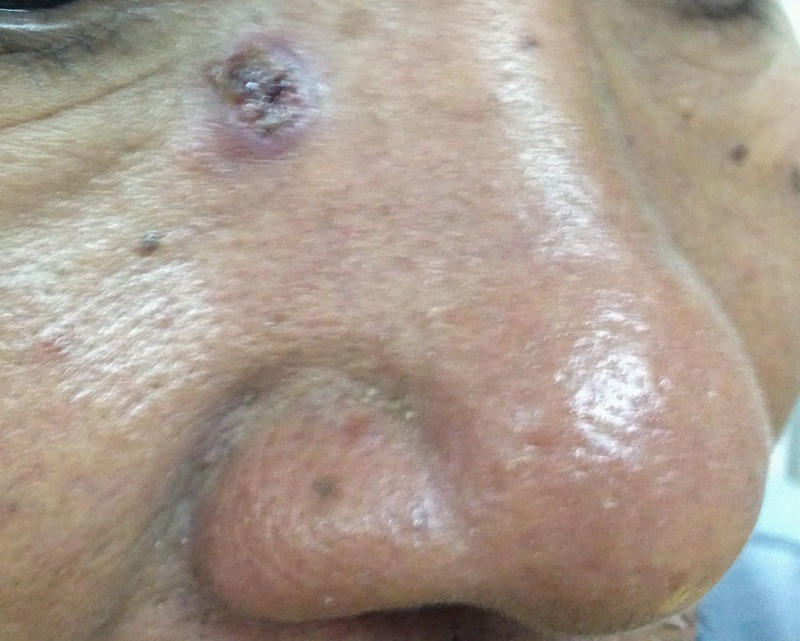 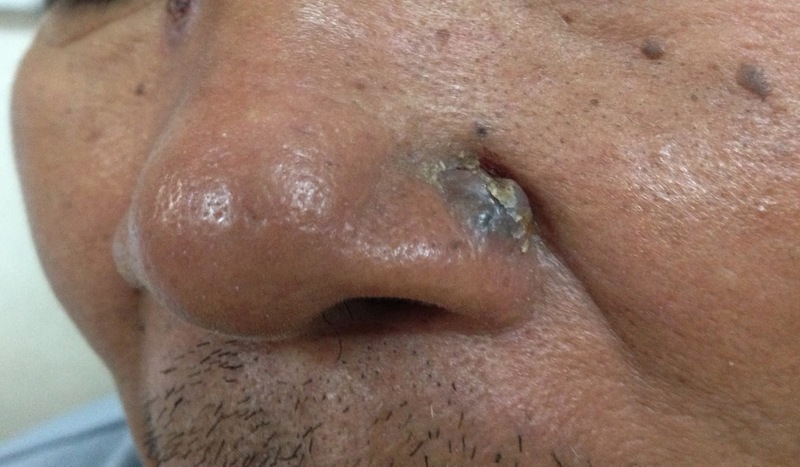 MAN 59 YO, 3 MONTHS AGO THE FACIAL SPOT GETTING GROWTH FASTLY AND BLEEDING. THERE WERE 2 SPOTS ON RIGHT AND ANOTHER ONE ON LEFT SITE. 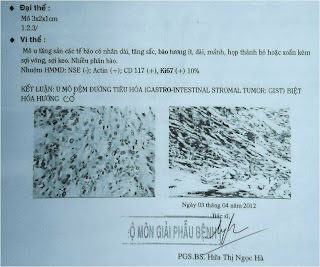 [SEE IMAGE 1,2]. 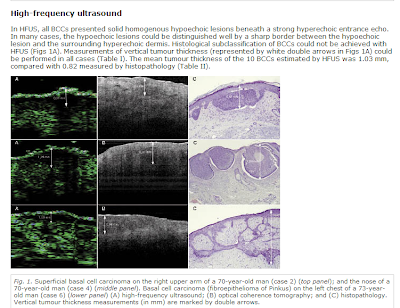 HIGH FREQUENCY ULTRASOUND WITH ELASTOSCAN SCANNING HAD DEEP PENETRATION UNDERSKIN AND HARDER PATTERN WHICH SUGGESTED BASAL CELL CARCINOMA INVASIVE. 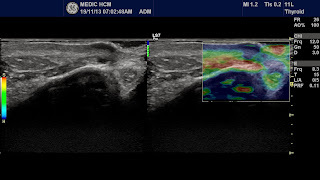 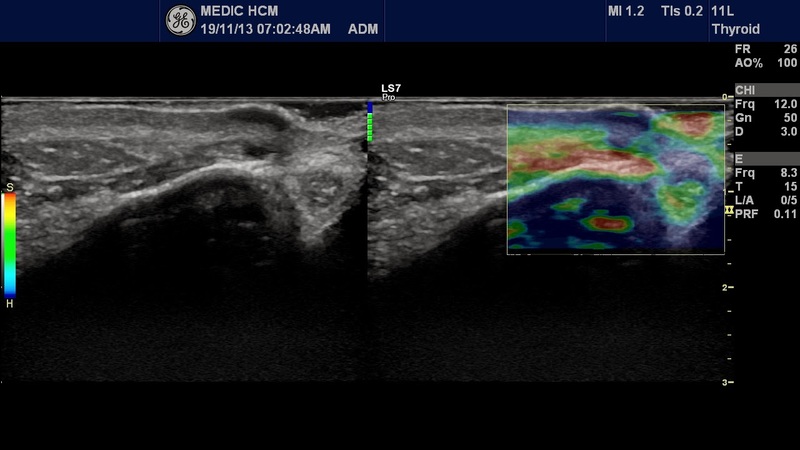 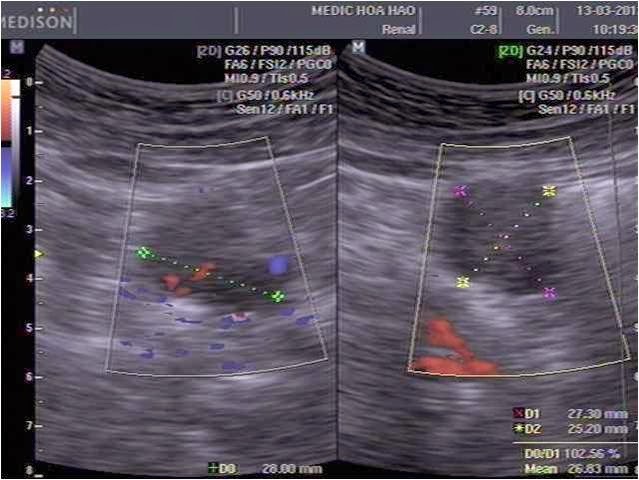 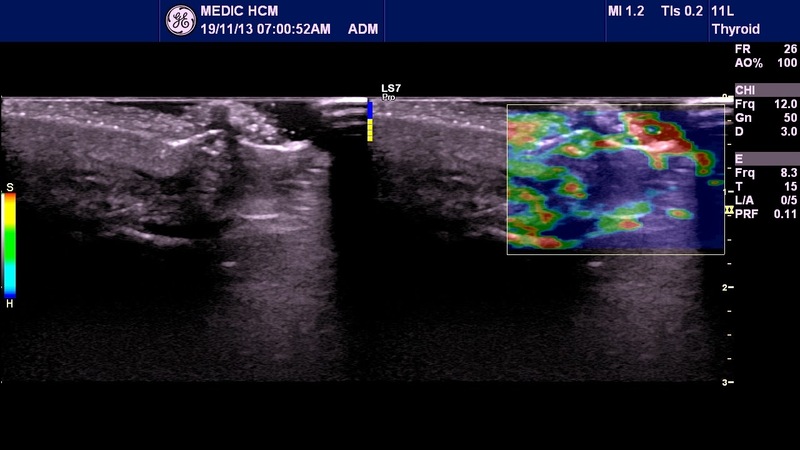 [ULTRASOUND IMAGES 1,2,3 BELONGED LEFT SPOT, IMAGE 4 WAS RIGHT SPOT]. 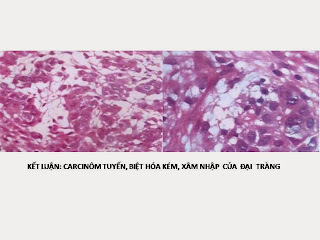 Biopsy the mass, microscopic report is BCC (Basal cell carcinoma). 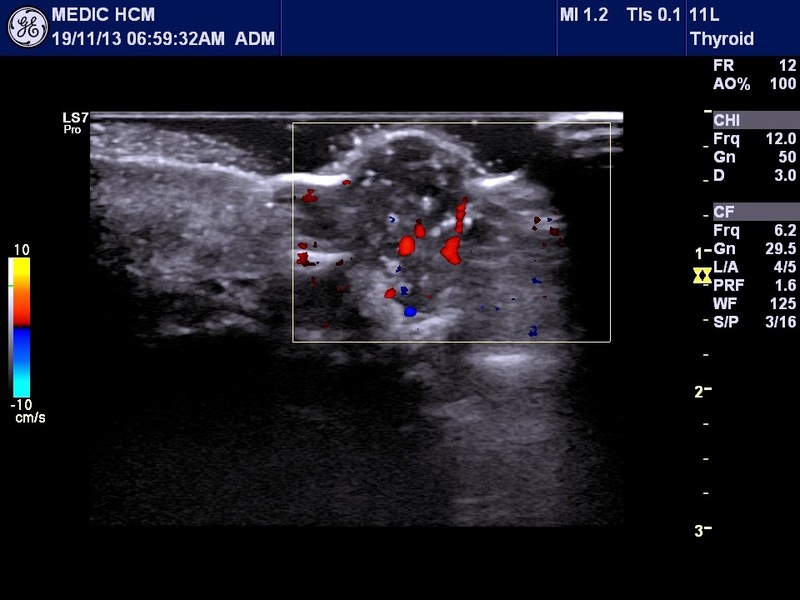 Discussion: Elastoscan map preop of skin lesion is best evaluation for guiding of biopsy and planning operation . 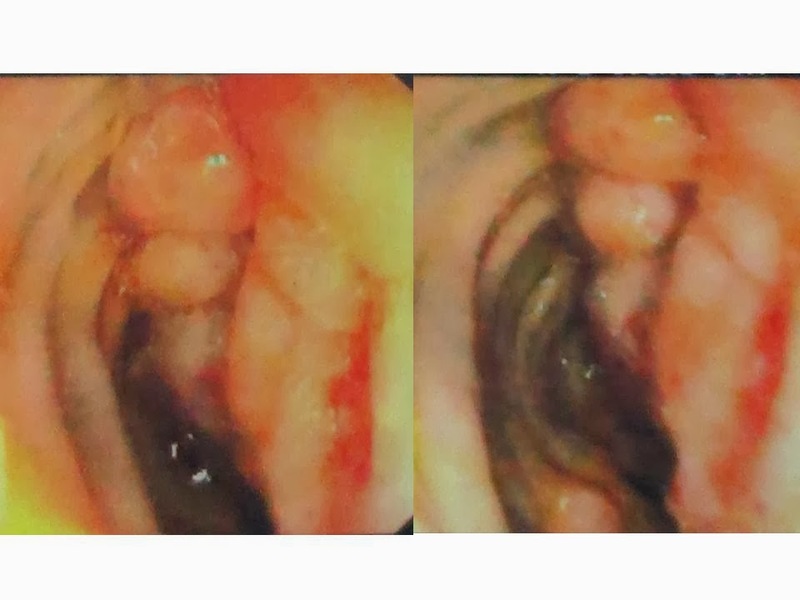 Male 65 yo, occult blood stool (+) in check-up, then underwent colonic endoscopy to confirm colon tumor, but only colonic polyp was detected. Ultrasound pre endoscopy disclosed a hypoechoic mass in LLQ, semilunar shape, with size of 28x25mm which one part of contour was regularly round and another part close by lumen gas inside a loop of small bowel . 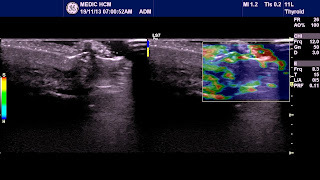 There was vessels into this mass. The LLQ mass was thought to be a GIST of small bowel. 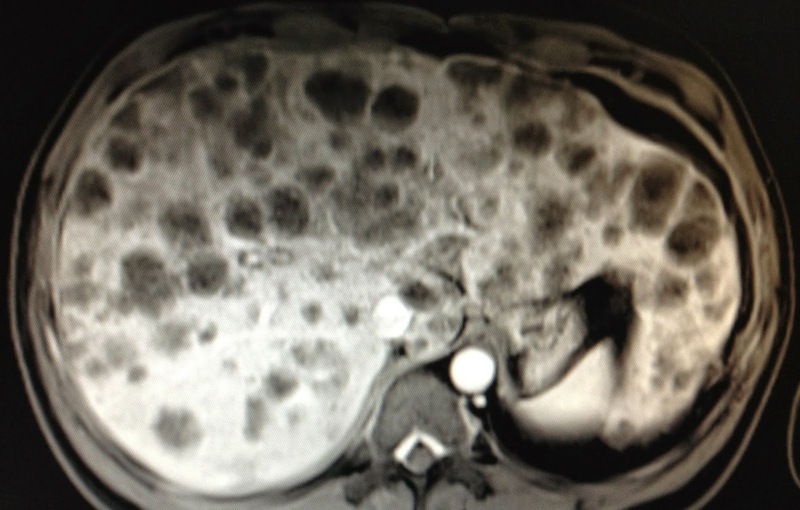 MSCT confirmed the small bowel GIST later. Surgery was done, macroscopic result was mural tumor of small bowel. 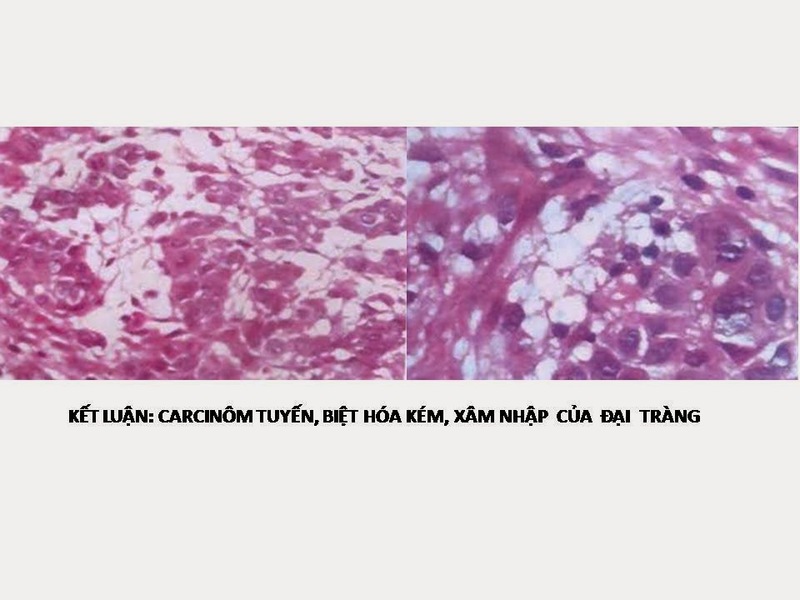 Microscopy and immunohistostaining were proved for GIST tumor of small bowel.